The biggest blizzards and snow days of the season are just around the corner. Even though you will be stuck inside, you can still make the most of the day! 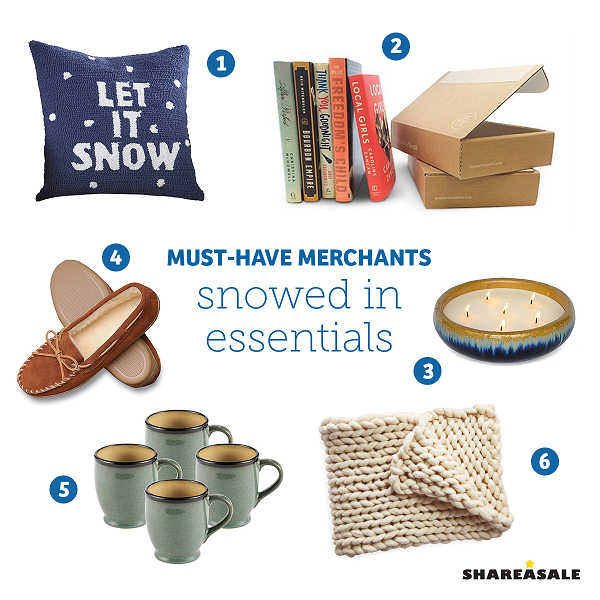 Plan ahead and stock up on all of these ShareASale Merchant essentials for a cozy day on the couch. Happy (almost) New Year bloggers! Ring in the new year with a clean slate and a fresh outlook on your blog content. 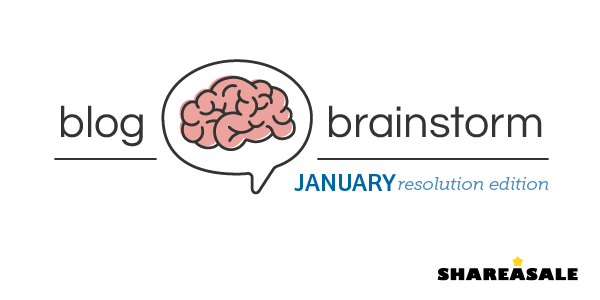 January is jam packed with hot topics, from inspiring New Year’s resolutions to the Golden Globe Awards and even Chocolate Cake Day – there is something for every reader! The cold weather is finally starting to set in here in Chicago (much to our dismay) and we wouldn’t want to be caught without the most stylish winter accessories to keep us warm! 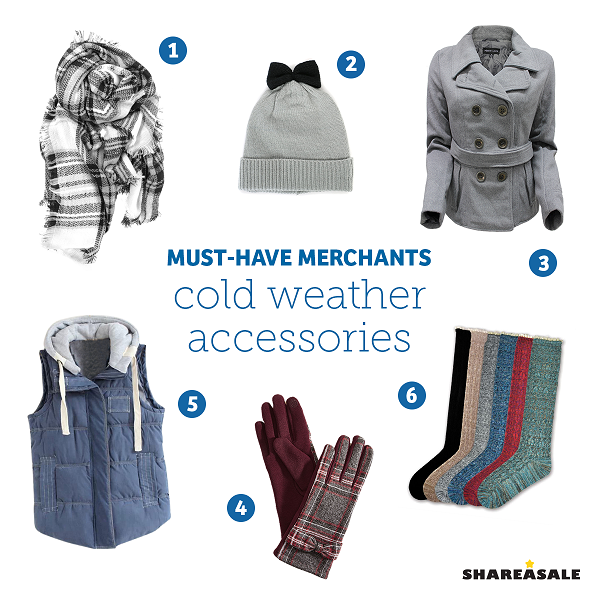 Keep your readers up-to-date with the latest winter fashion accessories from these ShareASale Merchants. 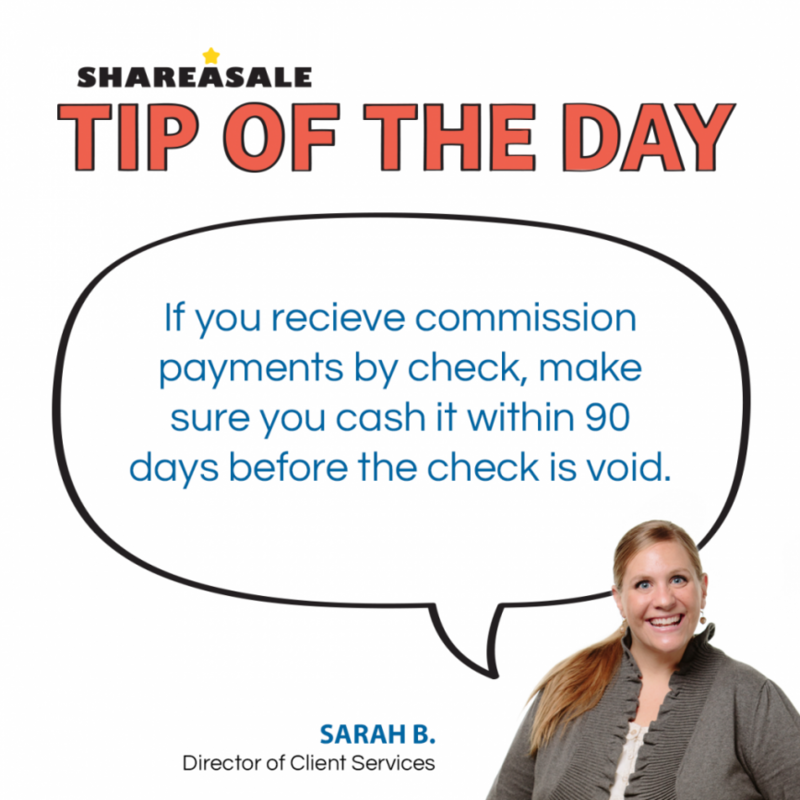 Tip of the Day: Cash Your Checks Within 90 Days!